Watersavers Turf is the leading supplier of artificial turf, offering the largest selection of the highest quality artificial grass. 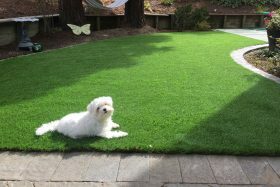 Choose from our residential, commercial, sports, or pet turf products for a gorgeous, green yard. With free samples and delivery, we are confident that you’ll find a solution from our extensive line of well priced products. It’s a great addition that adds value to your home or business. Choosing synthetic grass means choosing a greener future for the planet. 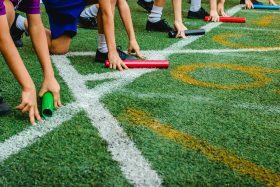 Curious exactly how much artificial turf costs? Our annual cost savings chart breaks it downs by year. Since artificial grass has a life expectancy of 20 years, a single synthetic grass installation can save you more than $40,000! Are you ready to make the switch? Contact us and browse our turf photo gallery for inspiration. Watersavers Turf offers an exclusive product line to help you save money, time, and water. Save water by eliminating daily watering, while you save money and time from the low amount of care needed to maintain your yard. Spend your day enjoying your beautiful lawn instead. Once synthetic grass is properly installed, it requires little upkeep, drains fast, and remains green all year round. No need to mow, fertilize, or use toxic pesticides. All of our products are also lead-free, so you can play safely. A natural lawn can use up to 30,000 gallons of water every year. 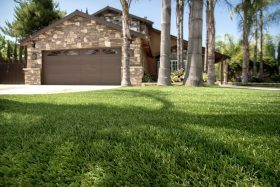 Many cities offer rebates for replacing an existing lawn with faux grass. Visit our FAQ page to learn more about the advantages of artificial turf. Get green and stay green with artificial grass. We know you will enjoy your purchase from Watersavers Turf for years to come. The ideal artificial turf for your backyard, patio, pool area or playground. Artificial grass makes your apartment complex or school campus forever green. Create the ultimate soccer field, putting green, or bocce ball court with our artificial grass. Let your pets roam free without a worry. Our artificial turf is easy to clean and durable. Watersavers Turf offers free delivery and an unmatched warranty, because we stand behind our products. We have over 40 varieties of turf to meet all of your needs. In addition to seven San Francisco Bay Area locations, we have a helpful turf resources page. We cover topics from: how to install artificial grass to how to keep your pet turf smelling fresh. We also discuss the benefits and simple maintenance recommended to keep your lawn looking beautiful. We like to offer free installation seminars for contractors, so they are trained with the best techniques and tips and tricks from our experts. In addition, we provide the necessary turf tools and accessories for the job. At Watersavers Turf, you will have everything you need for your project delivered to your home at a cost you can afford. Our turf is under an 18 year warranty for residential projects and a 10 year warranty for commercial projects. We are proud to offer free next day delivery to your job site or place of residence. 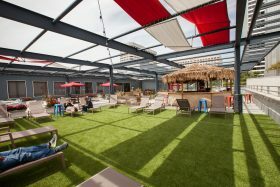 Our artificial turf is lead-free, perfect for both residential and commercial landscapes. We are proud to offer free samples of many varieties of turf, available for pick-up at any of our locations.